Just over one month ago, Ronald C. Clute, Ph.D., the founding director of The Clute Institute, unexpectedly passed away. Dr. Clute’s dedication to the Institute has been essential to its success and continued growth, and his guidance will be forever missed. Moving forward, the Institute is now directed by Dr. Clute’s wife and co-founder, Diane Pielat-Clute. She is an experienced classroom teacher, holding a Bachelor’s in Education and a Master’s in Special Education from DePaul University in Chicago, Illinois. The Institute will continue to operate as normal. We thank those who have already reached out to provide their condolences. Dr. Clute was known for inspiring a relaxed and inclusive perspective to the Institute’s work, with some describing it as a feeling of being a part of a larger family. Our hearts are saddened by the loss of Dr. Clute, however, our dedication to the academic community stands firm. We continue to strive relentlessly to provide our authors with the best conference experience and journal publication services available. This has been our promise since our humble beginnings in 1985, and we intend to stand behind that promise well into the future. My sincere condolences to family and friends. Wishes for a continuing success for Ron’s labor of love. These news are heart-aching. I met Ron last year in SF conference and he was such a sweet gentleman with a beautiful presence. He will be missed greatly. RIP Ron. Please accept my condolences. I met Ron last year in SF conference and found him a sweet personality and beautiful soul. RIP Ron. I am so sorry to hear this news. I know your strong team will carry on the work your Father started. Please accept my heartfelt condolences. Best regards to you all. oh sad news..my condolences for his family,friends.A great loss for the research community as well.God rest his soul in peace. My sincere condolences to the family. I had the pleasure of meeting Dr. Clute at the conference in Munich. I met most of the family, there. My wife and I have been attending Clute conferences since 2005. We always found Dr. Clute to be gracious and friendly, and shall miss his presence. Both of us extend our sincere condolences to his family. Saddened to hear the news. Ron was a kind soul and our interactions with him were memorable, professional and downright fun at times. We want you to know that the team at Cal Baptist University has you all in our prayers. This is very sad news and my condolences to the family. Ron was a very good man. I’ve known him for over 20 years and over the course of many conferences – he will me missed by all who knew him. The last time we spoke was during a side trip from Venice to the mountains of Italy. As chance would have it we both we’re on tours that stopped at the same convenience store. We talked about looking forward to this year’s summer conference. I have nothing but respect and admiration for him. God Bless. — Dr. Donald C. Smith, University of New Haven, USA. My heartfelt condolences are extended to Dr. Clute’s family and friends. He was a gentle, caring person always willing to assist others at previous conferences I attended. What a wonderful tribute to him that the Institute will continue to thrive in his name. My thoughts and prayers are with you. Our deepest condolences to you upon the passing of Dr. Ron.Words can’t express how saddened we are to hear of your loss. My deepest sympathy and prayers for you all. Dr. Clute was an amazing, innovative, creative, and exceptionally personal individual. His smile and passion for education will be missed. My sincere condolences to family, friends, and colleagues. My best wishes for a continuing success for his wife and clute team. I am deeply saddened to hear of Dr Clute’s passing. Enjoyed our conversations at the S.F. conference in August of last year and the last conference in Spain. Dr. Clute always expressed an interest in getting to know the attendees at the conferences. In Spain, my wife, granddaughter and I had a most enjoyable evening dinner. His contribution to Academia will be remember for many years to come. My condolences to his family as they experience this grieving period. 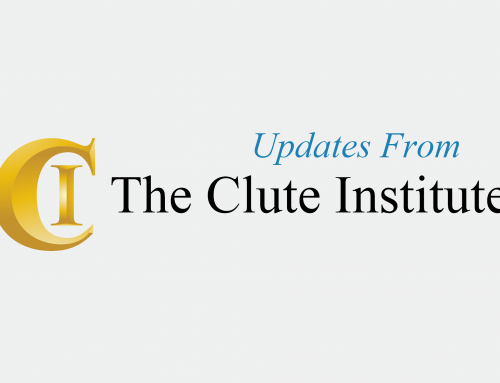 May the success of the Clute Institute continue. Please accept my sympathy. God knows best. Be strong and courageous and know ye that the Lord will provide for you and the rest of the family. He will also make Clute great. Fear not only trust in the Lord. Amen. I’m so sorry to hear of Ron’s passing. He was a great, kind man. I had the opportunity to meet him and his family at a conference last fall. Wonderful family. My heart aches for his family. Heart felt condolences to the Clute family. My condolences to the family for this loss. Take consolation that death is a passing itnto another world and the spirit , that is man, never dies.Sincere Cheer! This is Heart felt sad news, Ron was a guiding light for many, including me, certainly will miss him. My prayers are with his family. May His Soul Rest in Perfect Peace!!! Condolences to Diane, Ron’s Children and Clute Institute. May the Lord comfort you all on all sides. May the soul of the departed Rest In Peace. I wish to express my deepest sympathy to The Clute Institute on the death of the founding father.As a senior professional colleague I learnt alot from him and remain indebted for the inspiration and his commitment to.academic excellence.May his soul rest in peace. So sorry to hear about Ron’s passing. I met him several times at multiple conferences and he was always very gracious and thoughtful. He’ll be missed. I am so sad to hear about the passing of Dr. Clute. I have been to many Clute conferences and Dr. Clute has served the educational opportunity with great opportunities for growth. If I can serve in any capacity I will be very willing to do so. Words never seem adequate at a time like this, but my deepest sympathy to the Clute Institute and to all the family. You have all meant a lot to me in my professional development over the last decade, and I remain deeply indebted for that. May the Lord comfort all of you in this time of grief, and may Ron’s soul rest in peace. My deepest sympathy and condolences to the family. He was a lovely man and a gentleman. My pleasure to have met him and he was an inspiration to all. My profound sympathies to the Family of the departed. May his soul rest in Heaven with eternal peace. The Institute will be indebted for his untiring and sincere efforts. I pray for the courage and health of the successor. I am very shocked to see this email that Prof Clute passed away last month.It is indeed a great loss for your family and especially for the academic community.I had some good memories.He was a very nice ,polite and cooperative man.He engoured me so many time to participate in the conference,even once i reached the conference and had less money to pay my registration fee.He directed you to wave off his registration fee and i was able to participate. Condolences to Diane, Ron’s Children. I am deeply sorry to hear about the death of dr Ronald Clute. My thoughts and prayers are with the Clute family. I met you at a conference in Italy some years ago. I remember spending nice times at the lounge with Ron and Diane, feeling welcomed. May God welcome Ron now. This is shocking to myself and my husband . We were looking forward to meeting Dr Clute at this year s international conference in Sweden for the first time.We have even planned to attend next year s conference on education because of the prompt response we receive on issues.May God console his family and give them the fortitude to bear this huge loss .We want to advise them to keep the flag flying.It shall continue to be well with the family and the institute. My sincere condolences to the wife and the entire family of Clute Institute. The good Lord Will uphold the family and great Clute Institute. My heart felt condolences goes to the entire Clute family and especially to the wife and family. I strongly believe and pray that the good work he has started will continue as indicated by the Clute team. God console his family and give them the fortitude to bear this huge loss . My deepest condolences to the Clute family. I am so sad to hear of Dr. Ronald Clute’s passing away. It is big loss for his family and especially the academic community. I met him several times at the conferences. We will miss him. A person that departs from this earth never truly leaves, for is still alive in our hearts and minds, he will not be forgotten he was a great man and he will be truly missed and will always be remembered. He was helpful, generous and very kind. Indeed, he was a great man. It was an honour to have known such a great person and we will truly miss him. Our sincere sympathy to you, all the staff, and his family. Ron and Diane have been indeed been very welcome entrepreneurs in the academic publishing and conference providers industry. Their efforts have forced the competition to rethink how to offer these services to academics and to share research. Ron never met a stranger as was always very helpful when you needed assistance. He was a great example of a father, academic, and friend. It was a joy to see the family grow up and be part of the business as we have attended annual conferences. My condolences to the family and may I suggest that the world is a much better place because of Ron and Diane’s contribution. 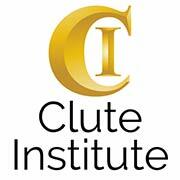 Best wishes for keeping the Clute Institute at the cutting edge for publication and conference venues.